Final Deadline for New Asian Currents Approaches! The final deadline for entering New Asian Currents program is approaching on May 15! 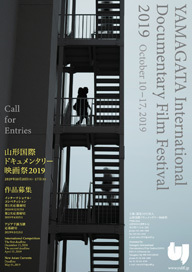 Any ambitious film by filmmakers from or residing in Asia is welcome to enter to the program. Please hurry! International Competition: 15 outstanding films selected from entries from around the world. New Asian Currents: Introducing up-and-coming Asian documentary filmmakers.